3DNA Collection / The first pieces of 3DNA jewellery were already made during my apprenticeship, so this is my first design. This elegant collection includes earrings, pendants, bracelets and necklaces. I work with 3DNA modules in five sizes – the earrings only come in two sizes. I recommend 3DNA set with diamonds if you wish for a more luxurious look. Size / small – module length 17 mm. Size / mega – module length 34 mm. 3DNA is one of the collections that have been created through an intuitive and playful process at the workbench, without an actual source of inspiration. It’s exciting to start a project without a predefined goal and without knowing which way it will go. And in this case end up with a result more intriguing and complex than I could ever have reached by thinking or sketching. 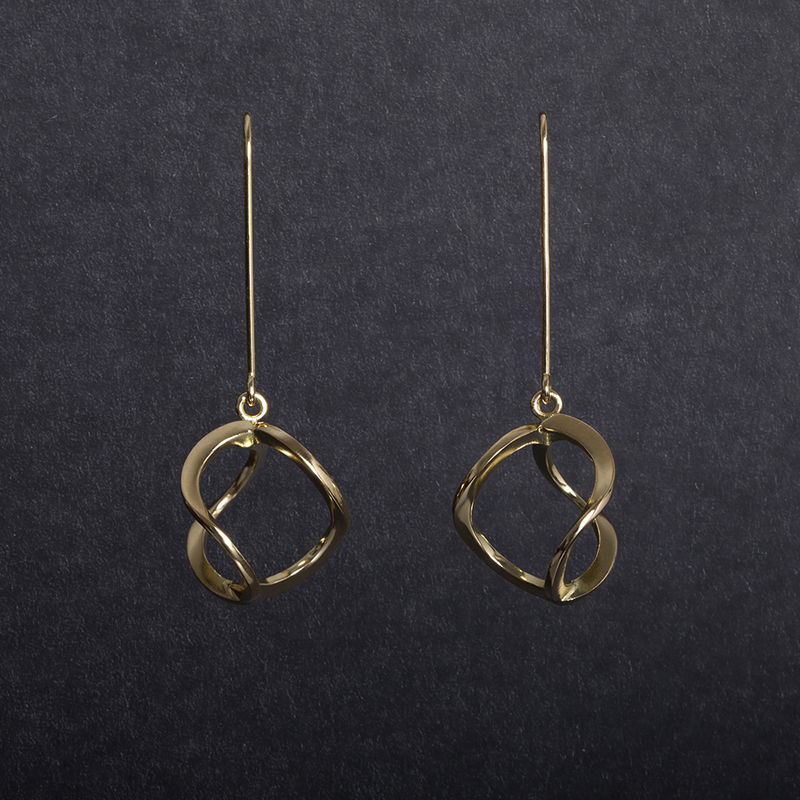 The 3DNA module is constructed with flat circles of gold or silver, which are twisted and soldered together into a unity in balance. I like that the shape is both voluminous and airy at the same time. The three-stringed symmetry of the design has completely different dynamics than an equal number of strings in a cross would obtain. It takes more than a single glimpse at the piece to grasp the shape, which makes it interesting to the eye. 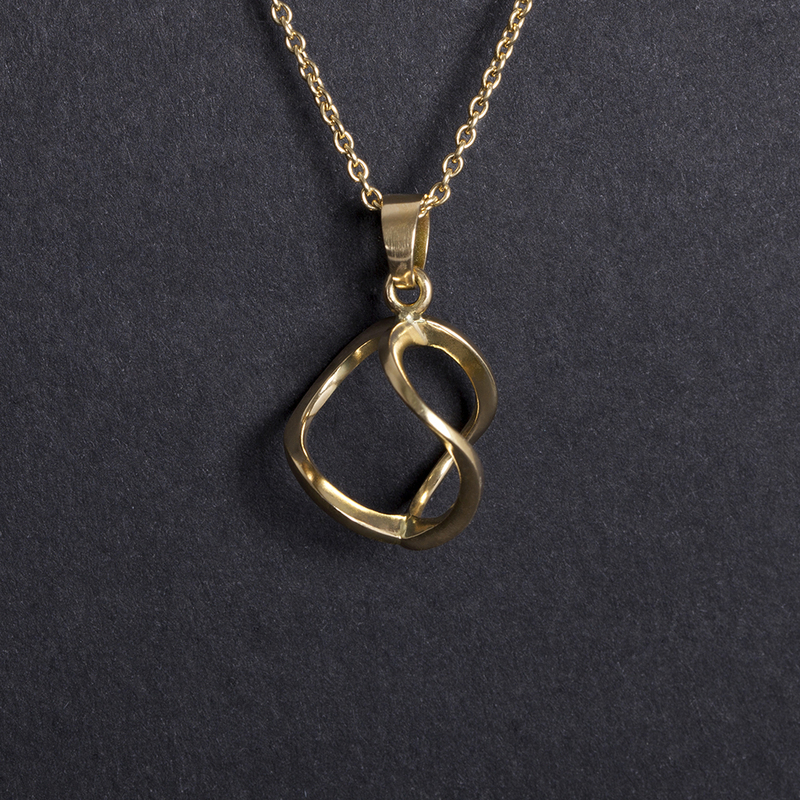 When the modules are joined together for a chain or a bracelet, it reminds me of a DNA string – with three strings instead of two; hence the name is derived.